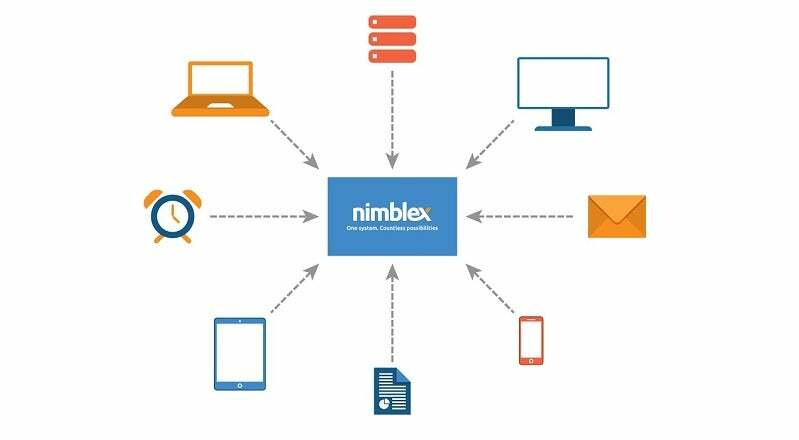 The Nimblex Platform, by eBMS, is a proven web-based software platform, which allows for the creation of tailored management applications without the need to write code, long lead-times, risks or big budgets. Solution examples include Procurement, Contract, Project, Risk, Audit, Safety Management, Quality Assurance and many more. Simple is better, and Nimblex solutions can be synchronised with the expectations and level of complexity to best fit the needs of users and desired management outcomes. Start with one or a bundle of applications depending on your needs. Nimblex can be Cloud-hosted or self-hosted. The Nimblex Platform is a certified Australian-made product by eBMS in Melbourne, with a proven track record. Nimblex offers a drag-and-drop configuration capability to replicate your unique data capture, process flow and report requirements. It offers features such as smart forms, reporting dashboards, process routing, automated communication, dynamic workflows, electronic sign-offs, document creation, action tracking and much more. All organisational processes are always exposed to constant change. The Nimblex Platform will always stay in-step with your changing needs. The flexibility of the Nimblex Platform makes it super easy to shape around your current and future requirements. Also, it is ideal for the digitisation of a unique process which uses multiple spreadsheets, problematic SharePoint solutions or old database technology. Examples are drilling reports, and workshop and maintenance controls. Nimblex provides rapid application development and deployment to enable management teams to improve policy and strategic initiative implementation. It will also help staff to avoid being trapped behind spreadsheets or other slower ways of trying to manage outcomes. The platform’s applications are configured so that it is intuitive and easy to navigate, while it is kept simple and scalable, allowing a quick return on investment (ROI) and longer application lifespan. Real-time alerts enable faster and informed decision-making, with consistent updates and developments, allowing better uptake for users. The Nimblex platform has been used by a wide range of mining operators across Australia, including Drillwest and the Australian Premium Iron Joint Venture (APIJV). To provide web-based procurement and contract management system that would automate the procurement and document approval process and offer multi-user access for APIJV, eBMS created a customised solution to manage compliance to their unique procurement and contract management policy. In addition, the company custom-built a platform that serves Drillwest’s precise and complex processes and reporting requirements, with real-time monitoring and equipment reporting capabilities in a single system. Nexans Olex is one of Australia’s largest manufacturers of electrical cables with more than 75 years of experience, servicing the Australian markets in the building and construction, infrastructure, energy resources, renewable energy and electricity supply industries. The APIJV controls iron ore rights to a large tenement portfolio across the Pilbara region (approximately 9,000km²). Some 8,000km² is focused in the west Pilbara, in four primary project areas, some accessed by joint venture with other companies. includes RAB, Aircore, Reverse Circulation and Diamond. Bucher Municipal is a world-leading supplier of municipal vehicles for cleaning and clearing operations on public and private roads and other traffic areas. Nimblex is a highly flexible, web-based software platform. We create, configure and operate management solutions the way you like to work. Features include a configurable user interface, user accounts, permissions, a calculation engine, workflow and task scheduler. Nimblex is pleased to announce that eBMS has been named the third on the list of The Fastest Growing Tech Companies in Australia Right Now.